That's why we have added two new color schemes — "Transparent Light" and "Transparent Dark." 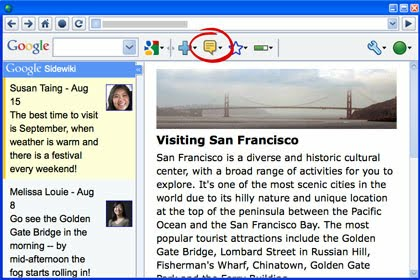 These new color schemes take advantage of the ability of modern browsers to render transparency (a technique known to web designers as "alpha blending"). This allows the navbar background to blend together with your blog's background color and pattern. The "Transparent Light" color scheme has a semi-transparent white background, producing subtle pastel colors, while the background of "Transparent Dark" is a semi-transparent black that produces a shaded look. In addition, we've simplified and slimmed down the look of all the navbars, so that they will be more likely to harmonize with the aesthetics of your blog. We had a lot of fun adding this feature and hope you like it too. Try it out! As a blog author, you've probably spent more than a little time getting exactly the right "look" for your blog. A blog is an outlet for creative expression, and how your blog looks says as much about you as what is written on it. And we at Blogger are committed to giving you the tools to make a great-looking blog. The Blog*Spot navigation bar ("navbar") is one area where we realized that there was some room for improvement. Our four traditional color scheme choices — Blue, Black, Tan, and Silver — are somewhat limited, especially if your blog's background color is lime green or hot pink. We'd like you to take a second to think about where Blogger is today, and then where you'd like to see it in the future. What are some words that come to mind? How would you describe it? Specifically, we're looking for six adjectives—three to describe the present, and three to describe hopes for the future. And when you've come up with them, please take a second to let us know what you are thinking. Once we've heard what everyone has to say, we'll follow-up here to share the results. Once again, we really do appreciate your words! This is Robin Beck here from Blog Action Day central, and I want to thank Rick and the Blogger team for helping support Blog Action Day 2009. For those of you who don’t know, Blog Action Day is an annual event held every October 15th where bloggers across the world unite to write about a single issue on a single day. We like to think of it as one big blogfest for good, and our goal is to spark conversation on an issue of importance across the web. This year’s topic is climate change, and we’ve thus far had more than 4,000 bloggers from 123 countries register, including many of the world’s largest blogs. Our aim is to make Blog Action Day 2009 the largest social change event on the web as a demonstration of global concern about the climate crisis. To achieve this, we want to invite the entire Blogger community to get involved and commit to writing a single post about climate change on your blog on October 15th. You can register your blog here. In addition to joining thousands of other bloggers, you’ll also be supporting the work of the dozens of leading nonprofits who are also participating – including Oxfam, 350.org, The Nature Conservancy, Greenpeace, The United Nations Foundation, and more than forty organizations affiliated with the TckTckTck campaign. You can learn more about the issue of climate change and see sample topics you might write about at www.blogactionday.org. There you can also find additional ways to get involved by taking action with leading nonprofits and posting a snazzy widget to your blog. Thanks so much for your support – we hope to have you all as part of the event! For templates, we've actually done a bit of scouting work already and collected a handful of great resources laid out in this Buzz post from earlier in the year. That collection comes from a number of well-established designers, and should provide plenty of secure template options to dig though. For widgets and other scripts, there are a handful of places worth your time. Mashable's 50 Great Widgets for Your Blog is a very nice compilation that covers a broad range of categories. Widgetbox is another great portal to countless widget creations, all organized into easily browseable categories. Finally, Blogger's own Gadget Directory has hundreds of gadgets to look through. Simply click the Add a Gadget link under the Layout | Page Elements tab to access them all. Almost every day our support team receives reports from users who've been locked out of their own blog, the result of giving admin privileges to an unfamiliar blogger. Remember, you can always add more authors to your blog, but only extend admin privileges if you absolutely trust the person. For more information about National Cyber Security Awareness Month, please check the StaySafeOnline.org page as well as the security series on the Official Google blog. Last week, Google Sidewiki launched to the world as an entirely new way to share information across the web. This new Google Toolbar feature allows you to contribute your own insight to any webpage, as well as read information shared by others right in your browser's sidebar. Google Sidewiki uses a special relevancy algorithm to display the most helpful entries first, and also has built-in technology to display your entries on other sites which contain the same snippet of text. For a more in-depth look at how it all works, as well as a full overview of all the features that Google Sidewiki has to offer, the team put together a very helpful page which you can check out here. So if you haven't already, download the Google Toolbar and give Sidewiki a try. As you come up with new ideas, submit them on the Sidewiki product ideas page!